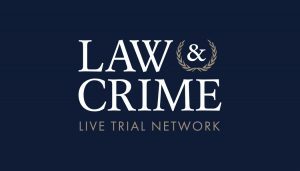 The fast-growing Law & Crime Network and LawandCrime.com logged a record number of viewers for the month of September. Created by Dan less than a year ago, the success of Law & Crime confirms viewer demand for transparency within our legal system. Between the network itself, OTT platforms, social media livestreams and views on the site, Law & Crime provided content for over 5 million viewers, 2.1 million of which were unique visitors, with an average watch time of 30 minutes. The network has steadily expanded since its inception, securing a deal with A&E Networks to provide more of the content viewers can’t find anywhere else. Expert hosts and guests provide in-depth analysis of the most important legal stories of the day. Law & Crime specializes in high-profile and unique legal cases. The network most recently covered the retrial of Jessica Chambers’ accused murderer Quinton Tellis. The retrial, like the first, ended in a mistrial. The coverage coincided with the high-profile Brett Kavanaugh Confirmation Hearing, which was streamed live through lawandcrime.com during the entire nine hour broadcast.